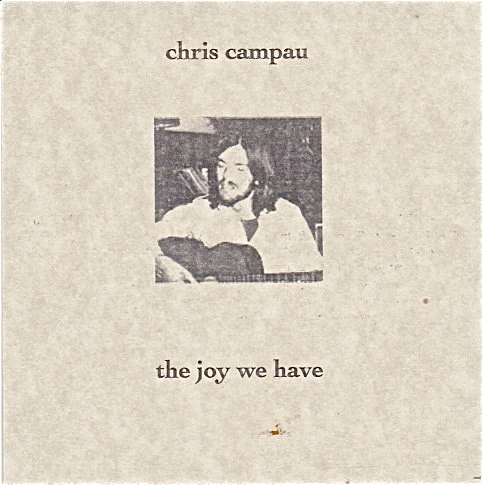 Chris Campau "The Joy We Have"
This CD of Chris Campau was compiled after Chris’ untimely death at the age of 56 at his home in Denmark. I gave this out to all of his friends and family at the special ceremony we held at my house in December 2013. While doing post production work in 2014 on our previous album, “Rooms” Russell Leach and I recorded several pieces expressly for my radio show, “No Pigeonholes EXP” broadcast by KOWS in Northern California. (listen to this program of experimental music) .We have put these pieces together as CD one on our latest release. 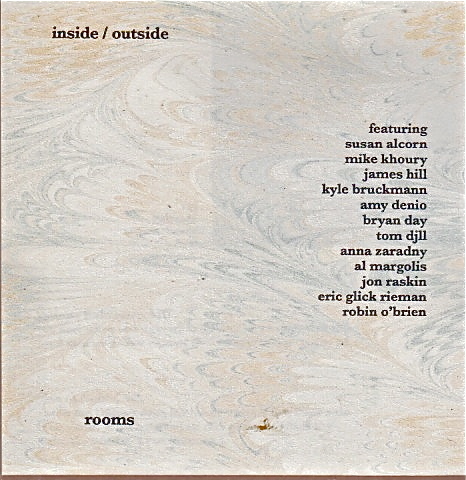 On CD two we recorded a brand new suite in our usual style of free improvisation, beats and odd textures. So, CD 2 is called ‘territory” and became the title of the album as a whole. As usual, we have indexed this album into separate pieces although it is meant to be played as a full piece. Russell generally plays percussion and Don does electronics although we both play a variety of different instruments. The cover is handmade on fully recycled cardboard and each one has different art work enclosed. 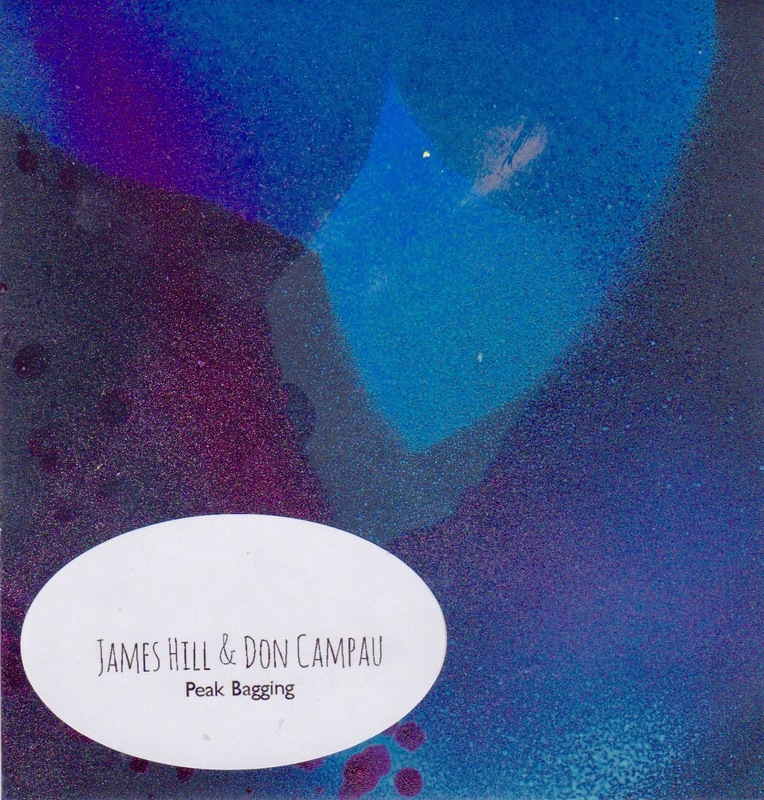 James Hill & Don Campau "Peak Bagging"
Recorded in Richmond and Santa Rosa, CA in 2017, these nine instrumental tracks feature this noted Bay Area trumpet veteran in various settings from funky and melodic, to freeform and rocking. 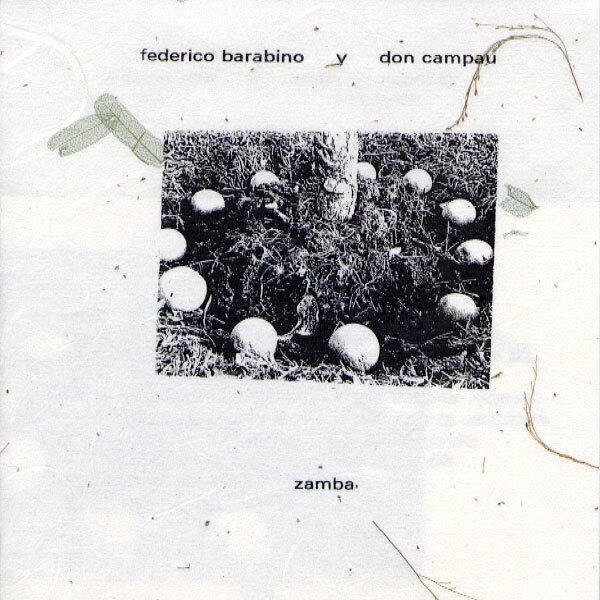 Don Campau provides the anchoring backing tracks except for “I Like Olaku” where British underground legend, Ralf “Arzathon” Bevis does the honors with a long dubby freak out. 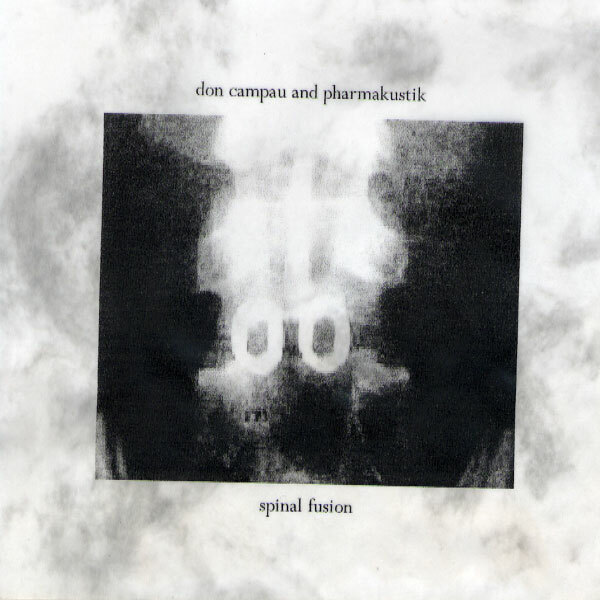 Produced by Don Campau. 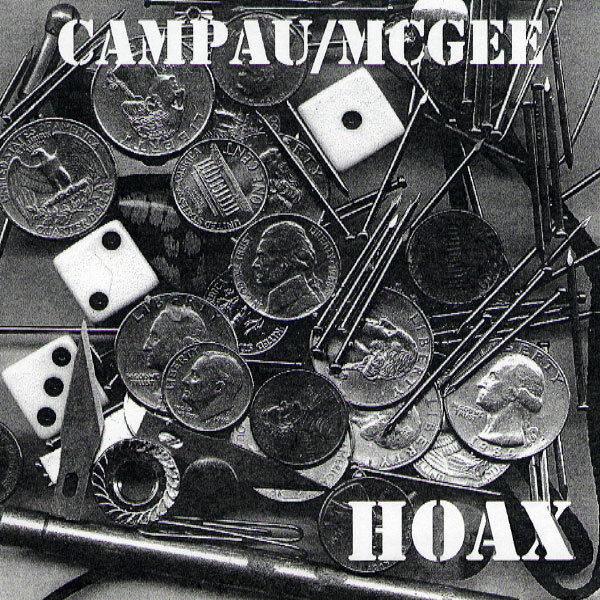 Original art by Campau. Each hard copy CDR handmade with unique covers. Free download on archive.org featuring two bonus tracks. Hard copy CDR is 100% guaranteed and costs $6 postpaid. “How to order” instructions in upper right hand corner of ,main listing page. For international orders please add $5. On May 26, 2015 Russ Stedman ( Sioux Falls, SD ) and Dino DiMuro ( Los Angeles) visited Don Campau in Santa Rosa. We jammed in the garage and recorded the results which Dino later edited and mixed. This was all recorded live with no overdubs. Russ and Dino wailed on electric guitars while Don pumped out the rhythms and bass with the auto keyboard presets, sang and played some bass and lead guitar as well. This is available for download only. There will be no hard copies unless someone specifically requests one. Tom Furgas "Concert For Orchestra"
Long time home taper from Youngstown, Ohio unleashes a masterwork of modern chamber music. Using his computer and compositional skills Tom expands his many ideas into a long form extravaganza. If you enjoy Earle Brown, John Cage, or Karlheinz Stockhausen this may be for you. Headphones recommended to get full stereo field effect. $6 for hard copy mailed to you anywhere in the USA. International orders please write first. 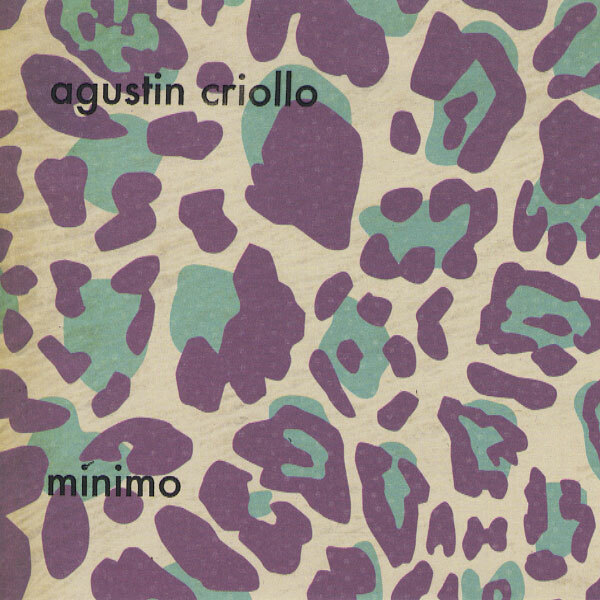 Influences on this instrumental outing from this Puerto Rican musician lean toward Mid period Pink Floyd and Terry Riley. A wonderful semi psych ride with handmade cover. Released in 2012. Aku Tardiff "Arbre De Serpent Rendezvous"
Aku improvised a series of short vignettes that were strung together into a 26 minute suite recorded in Santa Rosa CA by Don Campau who also added some minor instrumentation and did the original cover art work. 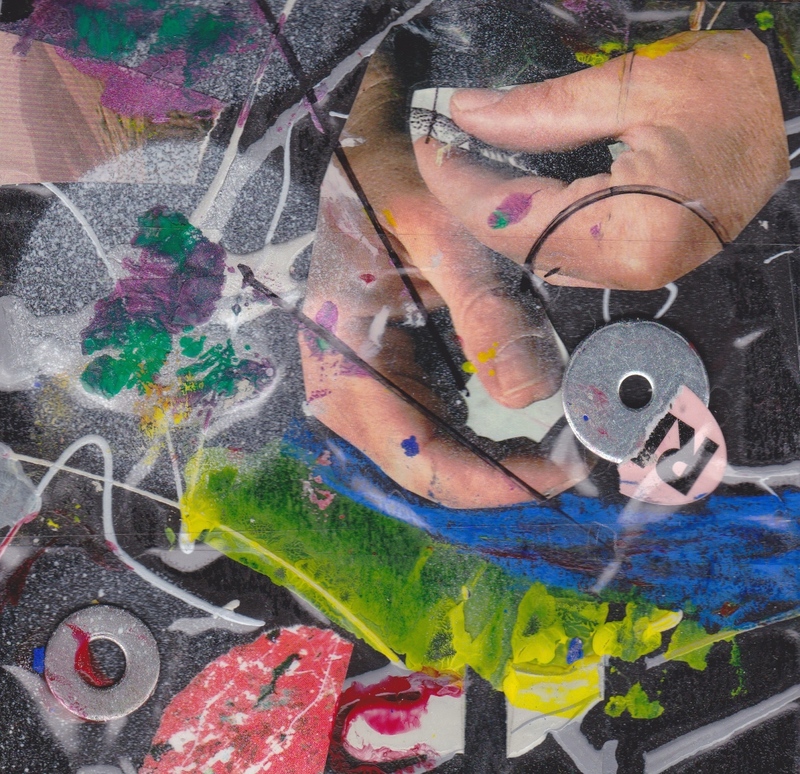 Each CD comes with original, one of a kind art. ( 2017 ). There is also a link to free download ( 320 files) below. 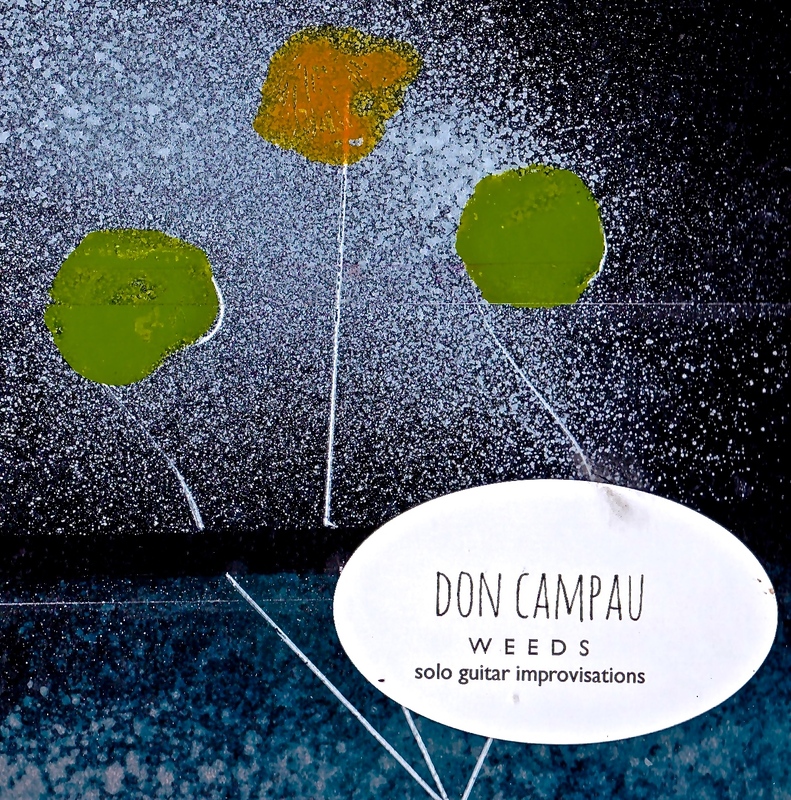 Double CD release from Santa Cruz artist Aku Tardiff and Don Campau. CD one features two extended works for multi instrumental improvisation and CD two includes jam sessions and a few proper songs. Released in 2012. 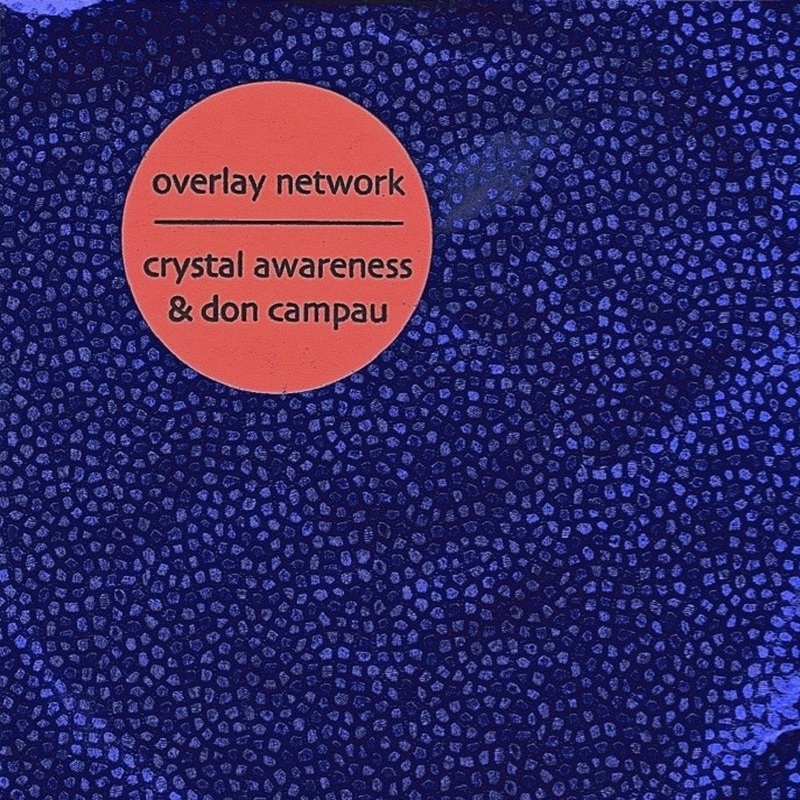 3 extended electronic improvisations recorded in Northern California on 13 August 2015 in Crystal’s studio. 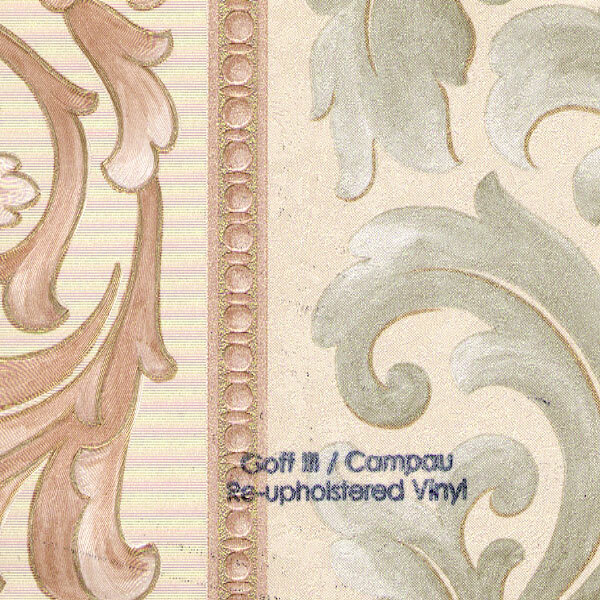 CDR comes in handmade cover with special metallic paper. Includes handmade bookmarks while they last. 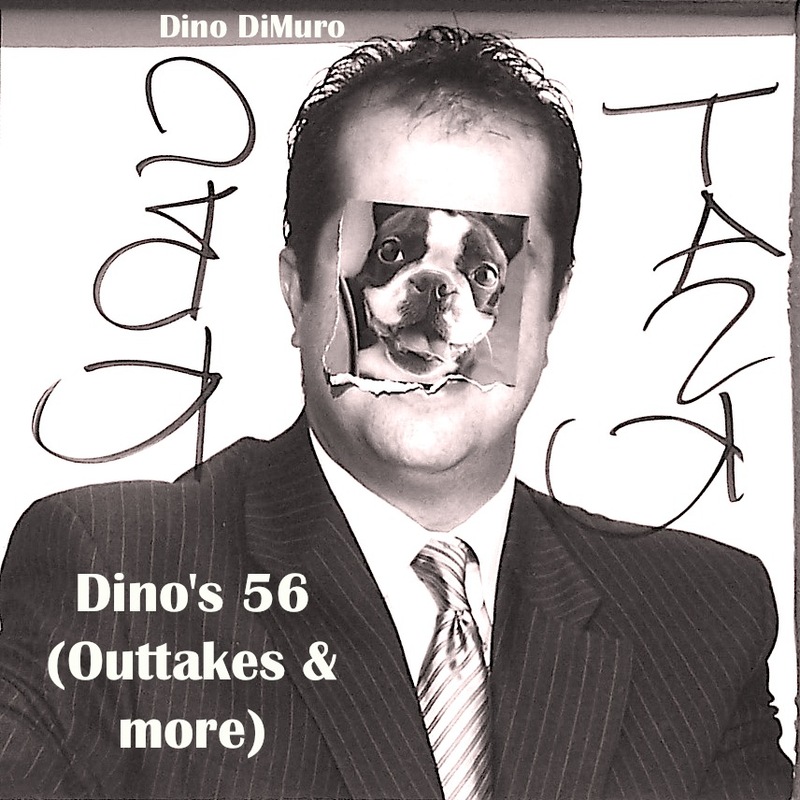 Recorded during sessions for Dino’s “50” double album, these 20 short songs give an inside look at his process and development when recording an album. Not really “outtakes” by other people’s standards but for various reasons did not make the cut for his powerful and personal “50” album. 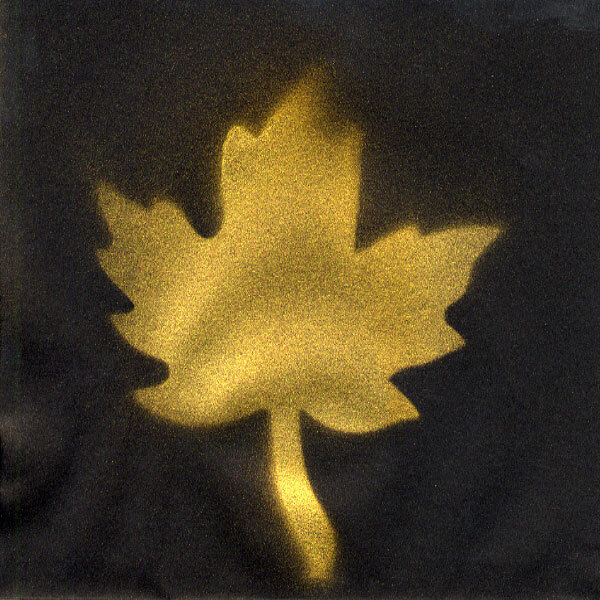 originally released by Lonely Whistle in 2007. Hard copy CD is still available. 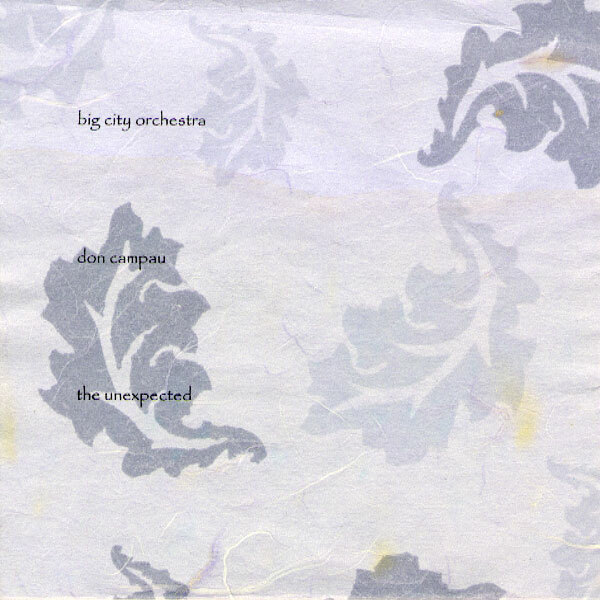 $7 postpaid includes lyric sheet and special handmade cover on imported paper. 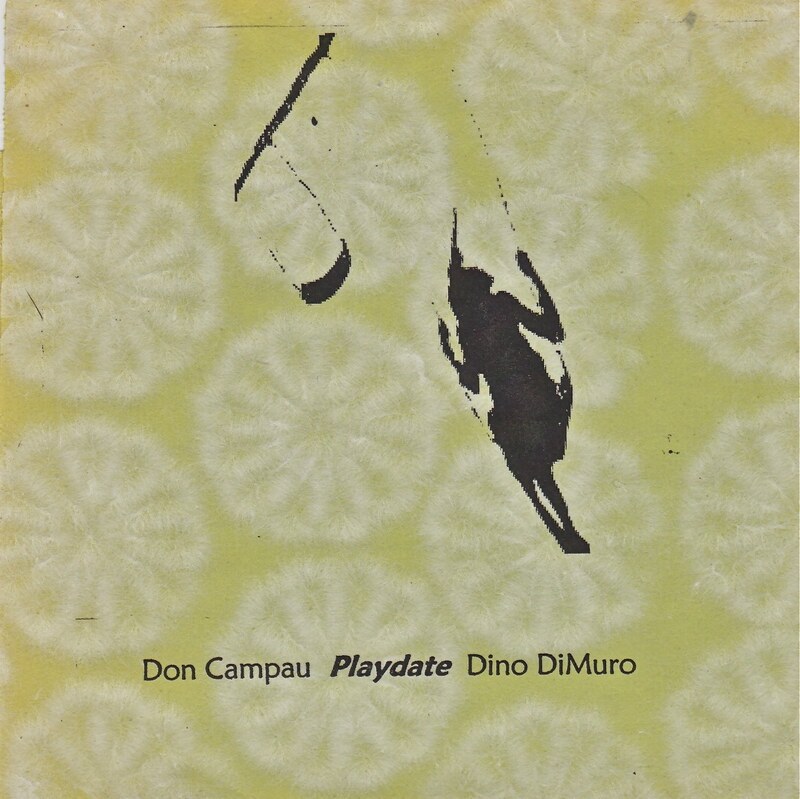 In 2007, After over two decades of being friends and working together on various recording projects, Dino DiMuro ( Los Angeles) and Don Campau ( Santa Rosa CA ) produced an album called “Playdate”. Each person sent the other sketches of songs they had never finished and then there was also some collaboration recording after one person had completed their parts. 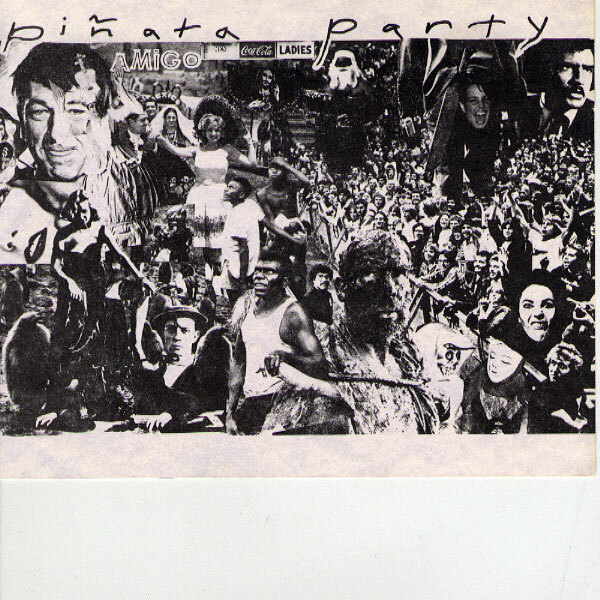 In some cases, the songs were completely remade and in others, the songs were more true to the original concept.Some of the sketches were from as far back as the early 1980s. In addition to Dino and Don, Greg Gray and Chris Assells play on selected songs. Dino and Don both play a variety of instruments and also sing. There are 17 songs and then, as a bonus track, a montage of the original sketches used for the songs. 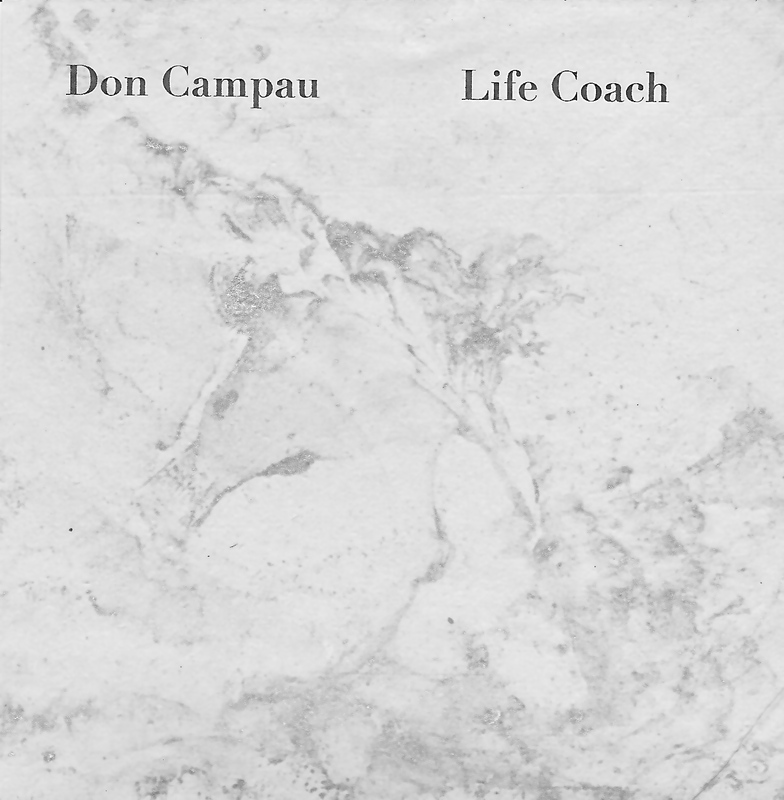 In this satiric opera suite, Campau assumes the role of your new life coach helping you to manifest your true potential…as long as you pay him. 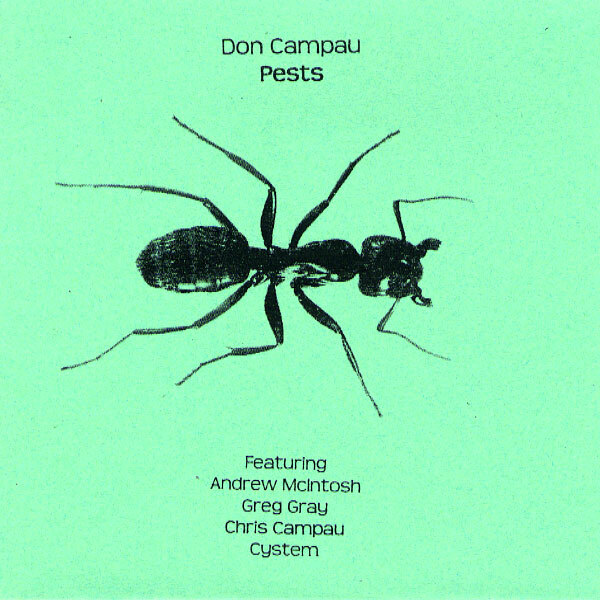 This album includes free improvisation, ambient, computer funk, dub, Mantovani and lounge influences. Guest appearances by Robin O’Brien ( supporting vocals) and Arzathon ( backing dub tracks on #6) with full lyric sheet and handmade cover on special paper. Trades are acceptable but write first. shipping included for free to the USA. International orders write first. 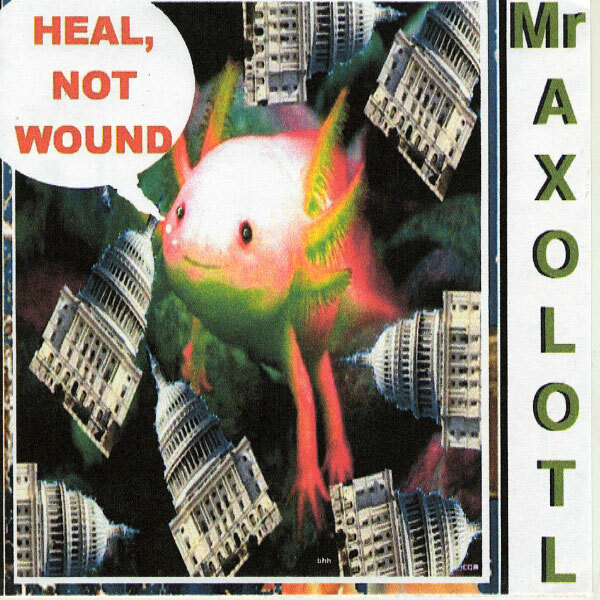 A crazed 24 minute ride featuring snazzy and jazzy rockish instrumentals marinated in a spicy sauce of sound samples and pharmaceutical warnings. 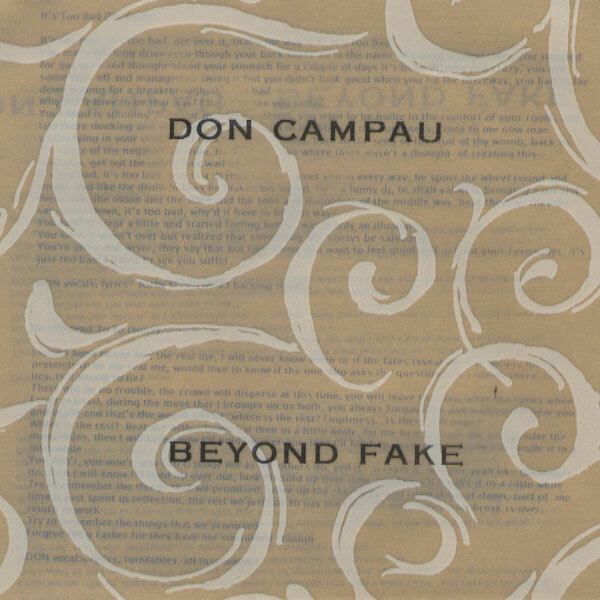 Campau plays all the instrumentals did the diting and the sound sources are many and varied. Thanks to Greg Gray who appears at 1:22 of track 5. This suite is meant to be enjoyed all at once but the hard copies have been indexed for easy access to specific sections. Hard copies also come with one of a kind original art work done by Campau. Digital wav files available at bandcamp. 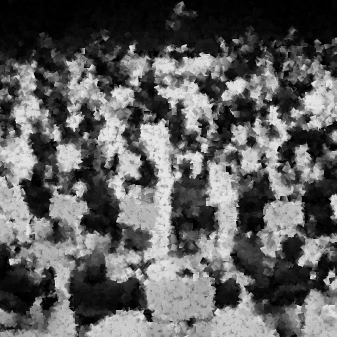 320 mp3 files available at archive.org. 13 new songs with international collaborators Greg Gray, Russ Stedman, Al Perry, Ken Clinger, Robin O’Brien, Skot Stickler and Bryan Baker. B sides, outtakes, cover versions, instrumentals, misfits….each cover handmade on imported threaded paper from Thailand. $7 ( or trade ) includes shipping. Even before I had heard of Cassette Culture in 1984 I had been recording my own music for many years. 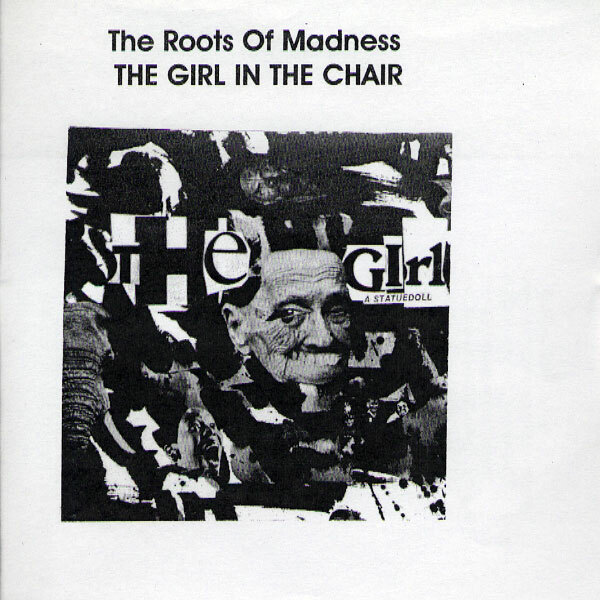 First, with The Roots of Madness, on open reel 2 track, from 1969-1976. In 1976 my friend Greg Gray, loaned me his Dokorder 4 track and I cut my first multi track songs. Then, in 1981 I bought my first 4 track , a beautiful TEAC 3440 which I still use occasionally to this day. So, in 1982-3 Greg and I would get together fairly often and record songs. Sometimes I would record them by myself or maybe with another local friend. The songs on “State Of The Onion” come from this 82-3 period. 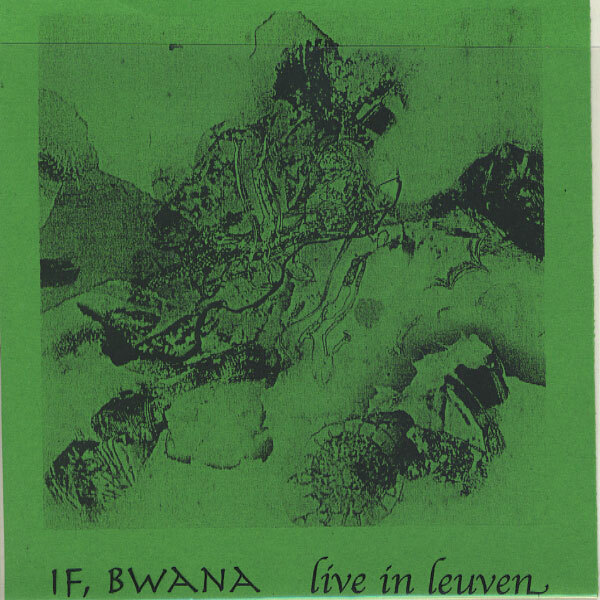 At the archive.org page you can hear/ download this album and I also give a breakdown of what I remember about these tunes. Just click the download link below. I never gave Greg the proper amount of credit at the time but he was the main reason I had so much fun during those years. Thanks Greg.You can also hear my kids, Nicole and Kevin ( Caity wasn’t born yet) who were still very young, at various points in the songs. I love hearing them as part of the songs. 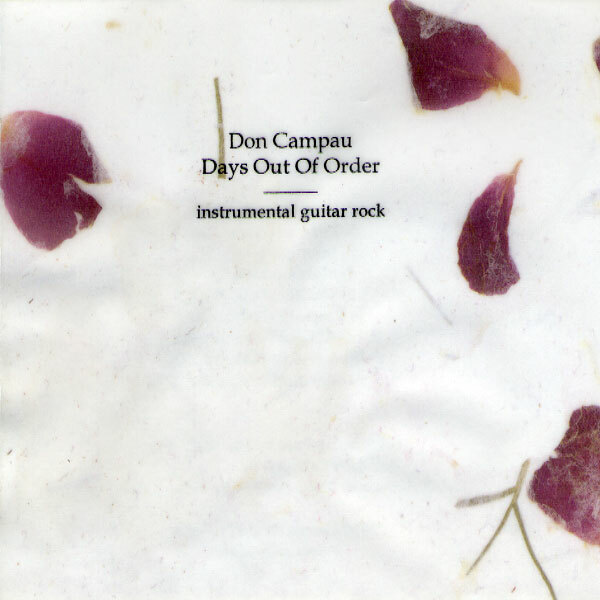 12 short, fully improvised tracks recorded and performed by Don Campau on a Gibson ES-175 electric guitar during April-May 2017 in Santa Rosa CA. 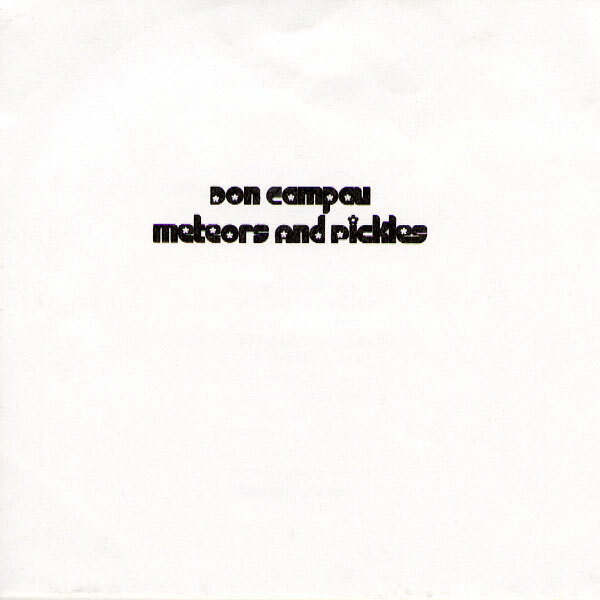 Hard copy comes with original art work by Campau…each different. 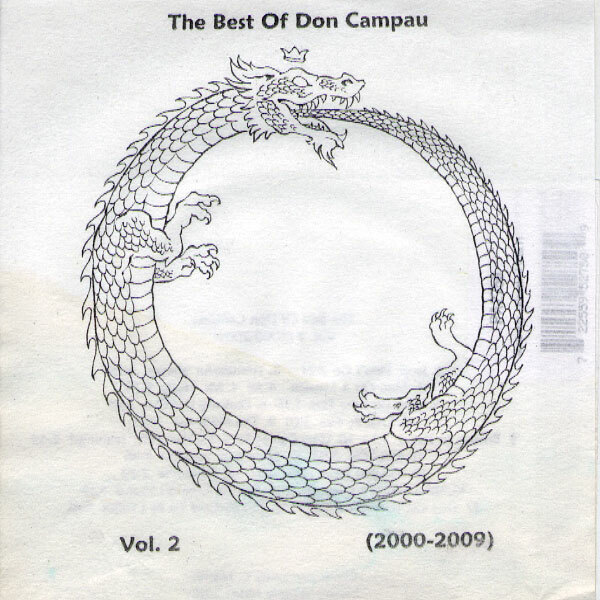 Two CD set of unused, left over and outtake tracks released in 2011. Guests include Michael J. Bowman,Greg Gray, Robin O’Brien, Aku Tardiff, Fate Sanders, Mars Dark, Ray Carmen, Ken Clinger, John Wiggins, Chris Phinney and Nikos Eliot. Retrospective 18 song collection of solo and collaborative works in the song style. 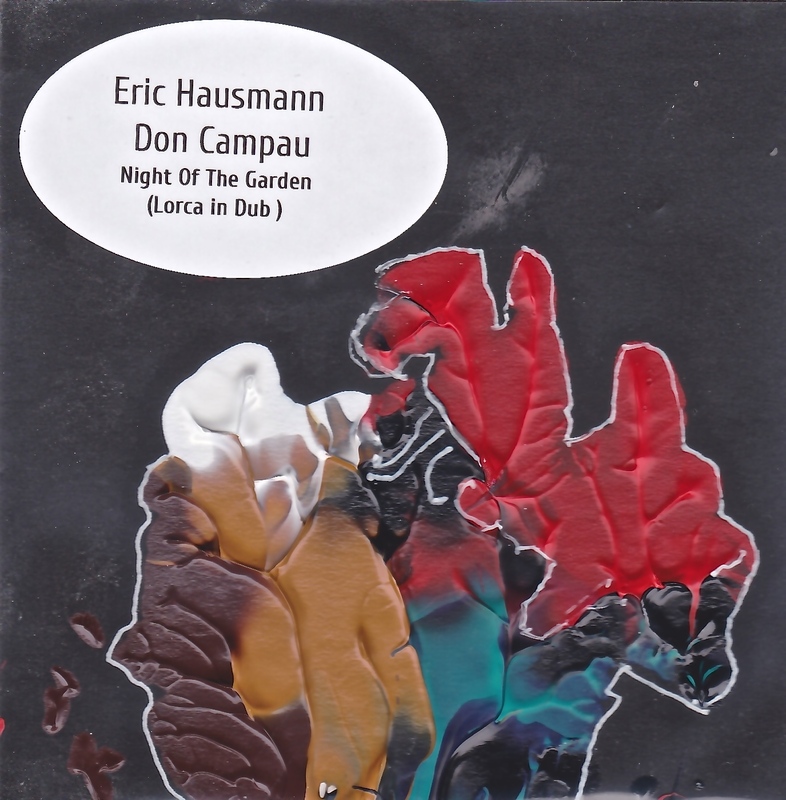 Anchored by the gorgeous, bass heavy dub stylings of Portland’s Eric Hausmann with lyrics adapted from Federico Garcia Lorca, Campau adds the vocals and various other sounds to create 4 songs of melodic pop poetry. This 21 minute EP also includes some brief backing vocals by Robin O’Brien and a special guest trumpet solo by James Hill. 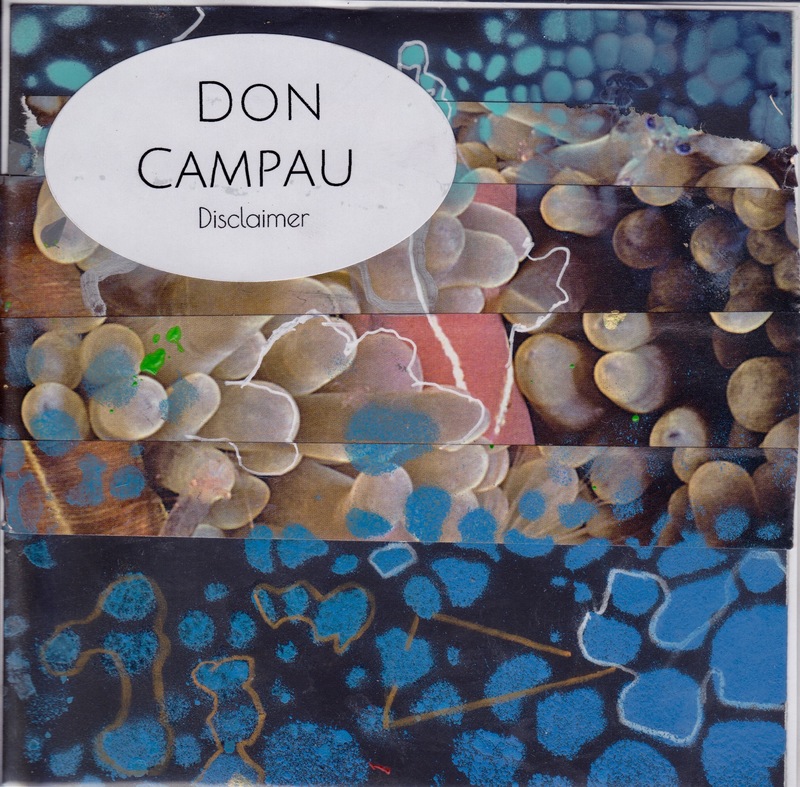 Each hard copy CDR comes with unique, one of a kind, original handmade art by Don Campau. This is a FREE release but I ask that you help with postage. So, the cost will only be $3…international orders add $3 each. 3 experimental forays by Al Margolis from his European tour in 2012. Special transparency cover while supplies last. 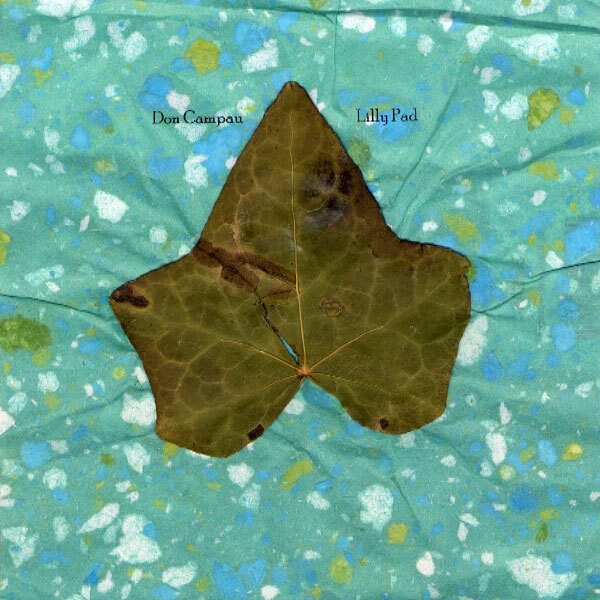 The first release from the collaboration project of Russell leach and Don Campau, this 4 part suite uses environmental and real instrument sounds to create a reflective but invigorating mood. From 2011. Free shipping with purchase of this album. The American made paper for the cover is environmentally sensitive and safe. 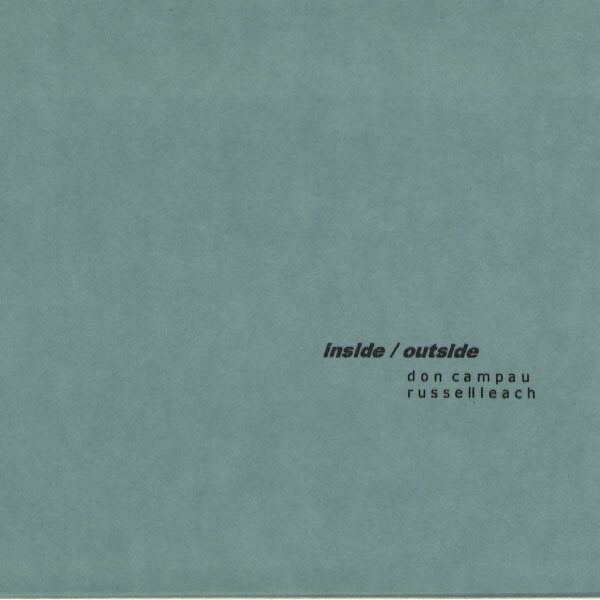 inside/outside is the duo of Russell Leach and Don Campau from Santa Rosa, California. 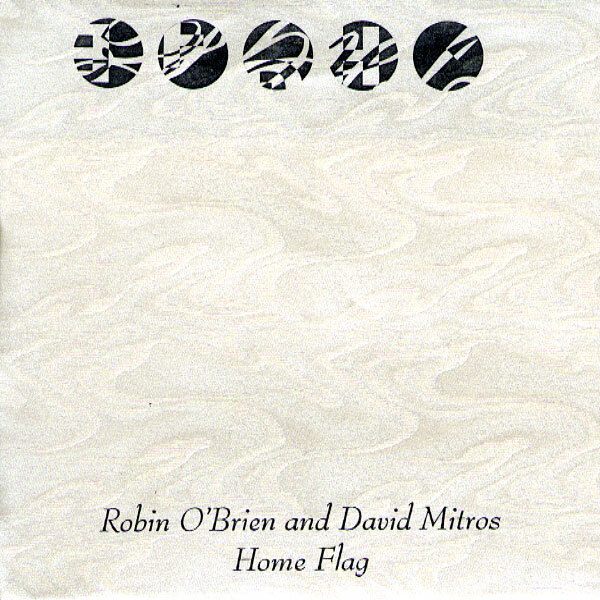 We have done four albums before this one with just us two and occasionally singer, Robin O’Brien. For this project we thought it might be interesting to have other improvisers play over some tracks we had specially recorded for each of them. The results were surprising and very eclectic. To finish it off and make it more in the spirit of our previous albums we edited the tracks into one long suite and added some additional recording and mixing effects. The tracks are also individually indexed for easier access to a specific area. So, this is not a “compilation” but a compositional suite. We would like to thank all of the collaborators for their time, talent, understanding and energy in this ambitious project. Throughout this album Russell played most of the percussion but also plays moog and various other instruments. 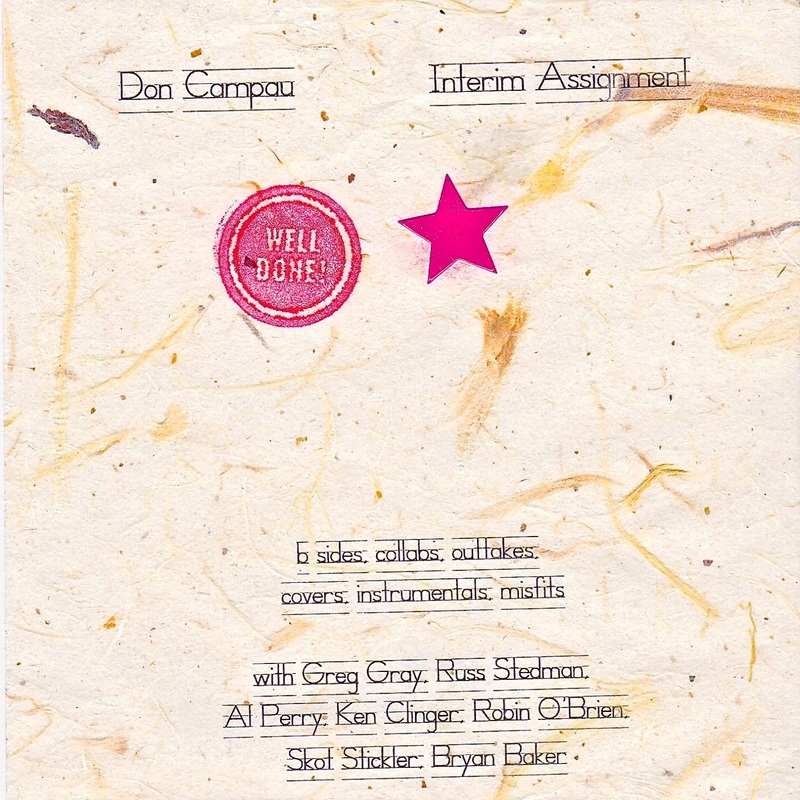 Don handled the bass, guitar, field recordings, engineering and assorted other things. 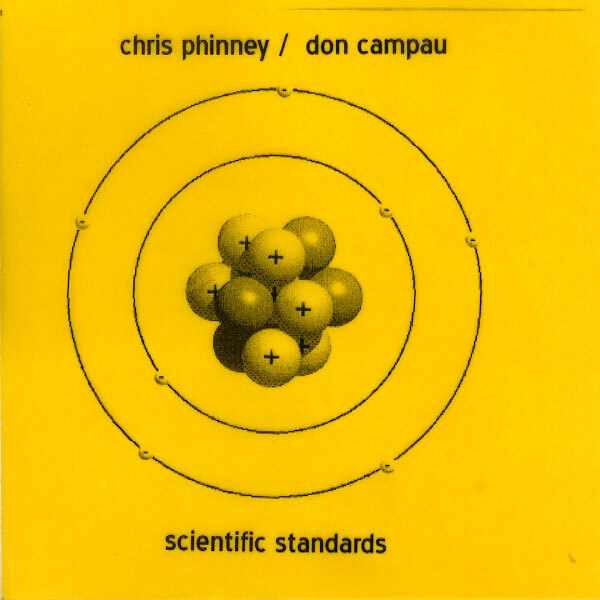 Recorded in 2013-4 and produced by Don Campau. Mastered by Blair Hardman at Zone Recording in Cotati. 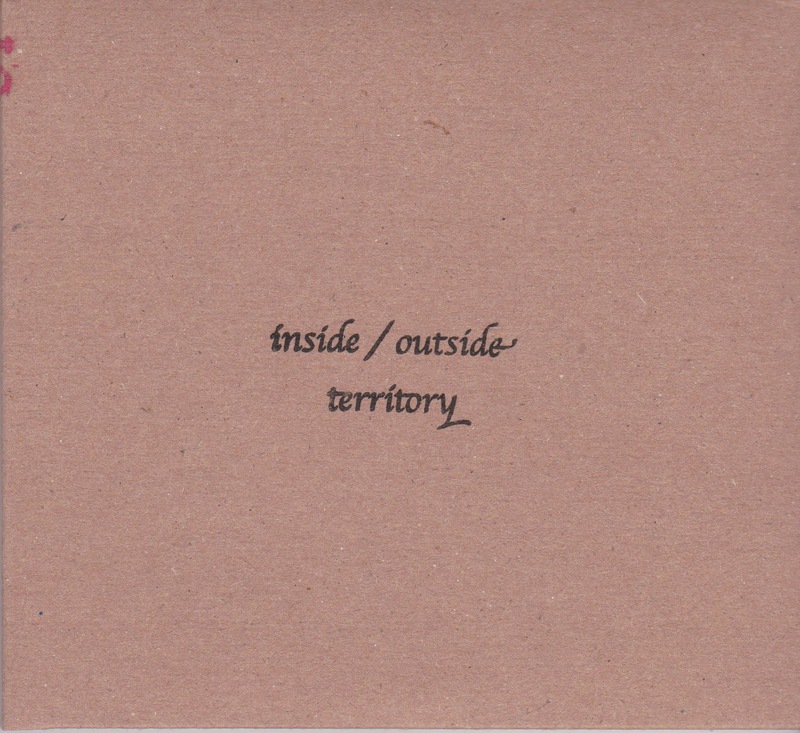 inside / outside is the project of russell leach and don campau. 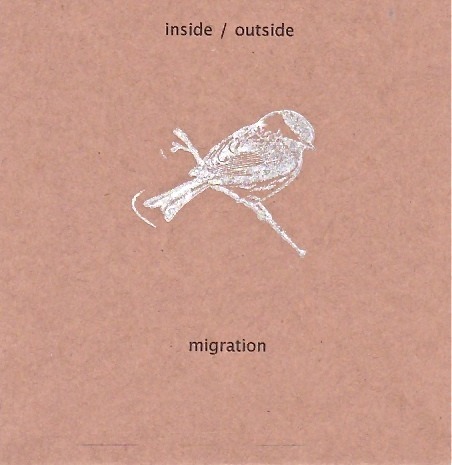 “migration”, is the third album by this duo. 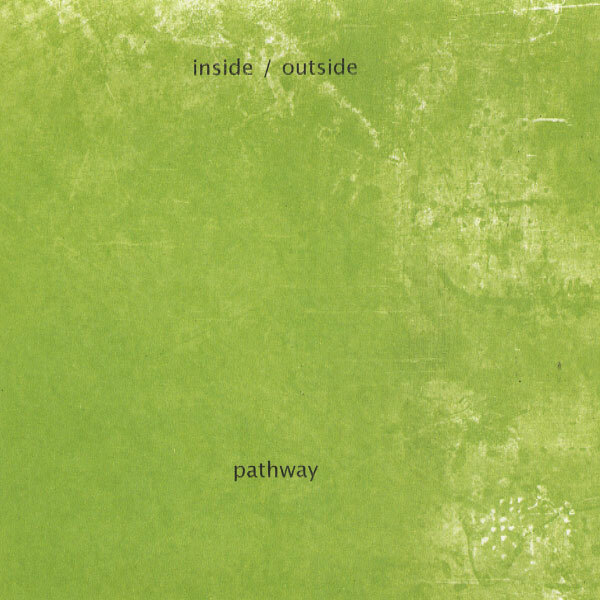 On this album, inside / outside tip their hats to artists such as jade warrior, joe zawinul, and various free improv musicians combining melodic sections with moments of unstructured exploration.This piece is about 32 minutes in length and is intended as one continuous listening experience. However, it has been indexed into thirteen parts for convenience. We hope you enjoy this music. Both artists are featured on a myriad of acoustic and electronic instruments. russell leach figures prominently on percussion and is also featured on moog and lap steel. 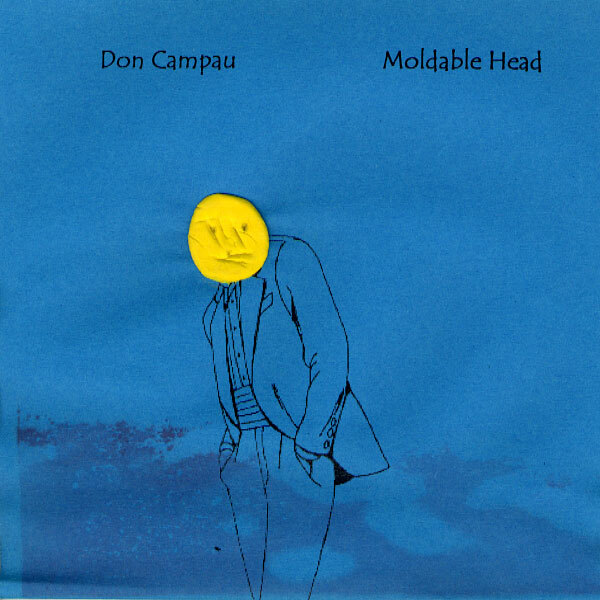 don campau does the production, tape effects and electric guitar. 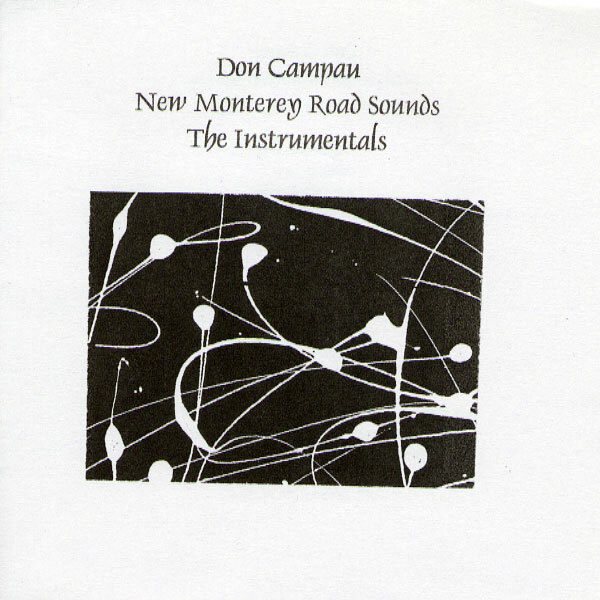 Electro acoustic improvisations by Russell Leach and Don Campau.One extended 33 minute piece indexed for easy location of specific areas. Special cover while supplies last with holographic sticker. 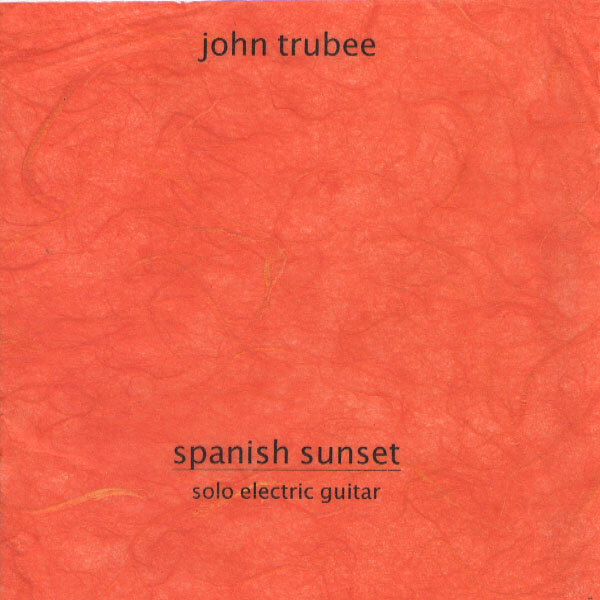 The very first solo guitar album ever from legendary underground icon and Head Ugly Janitor of America, John Trubee shows off his instrumental and compositional skills in a stripped down setting. A five way mail collab between Bret Hart ( guitars), Pete Zolli ( ( drums). 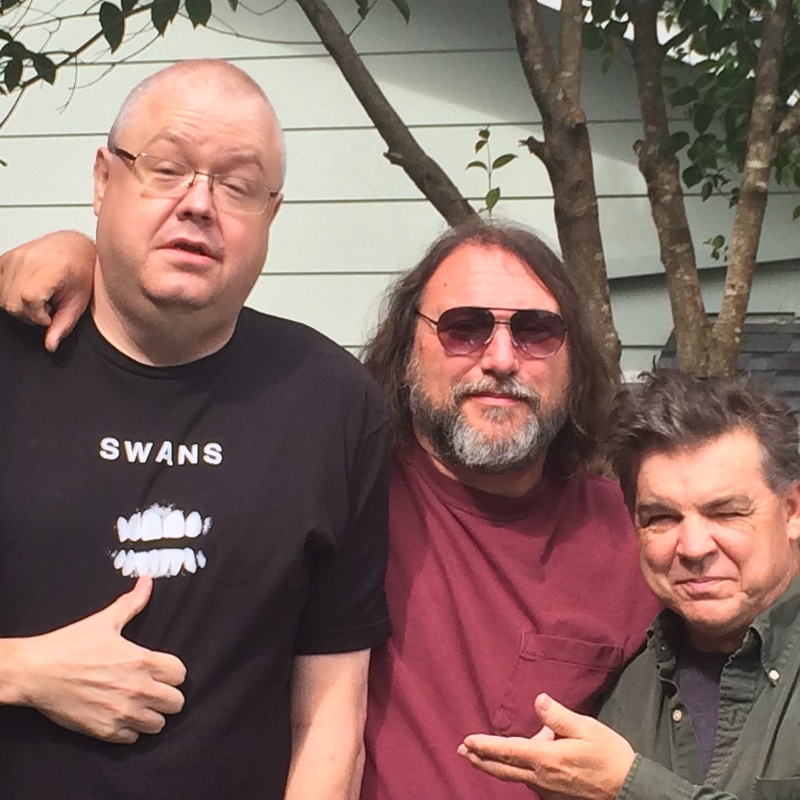 Eric Wallack ( bass), Greg Segal ( guitar and sound processing), and Don Campau ( vocals ,lyrics). This has a live feel and Beefheartian/ Kaiser, prog rock mentality to it. Released 2011. Numbra " Vol. 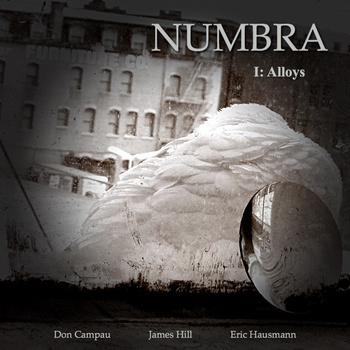 1 Alloys"
Numbra is the trio of Eric Hausmann ( Portland ), James Hill ( Richmond, CA ) and Don Campau ( Santa Rosa CA ). “Vol 1 Alloys” is the first release by this group. 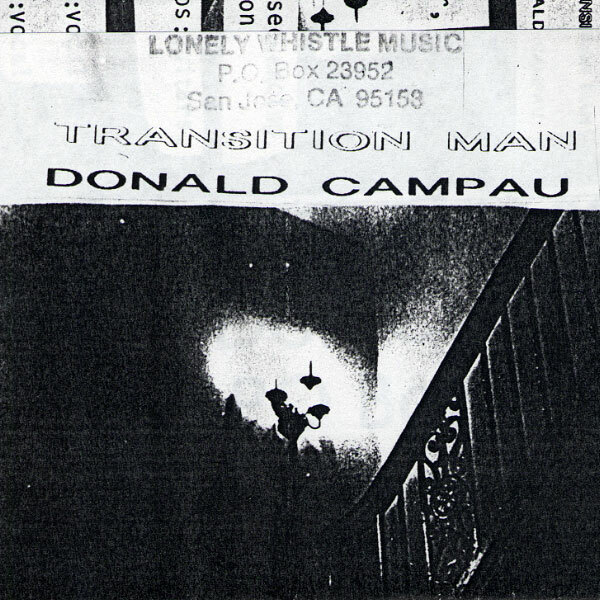 Mining ambient and experimental territory, Hausmann and Campau create shadowy backing tracks over which James Hill plays his trumpet. 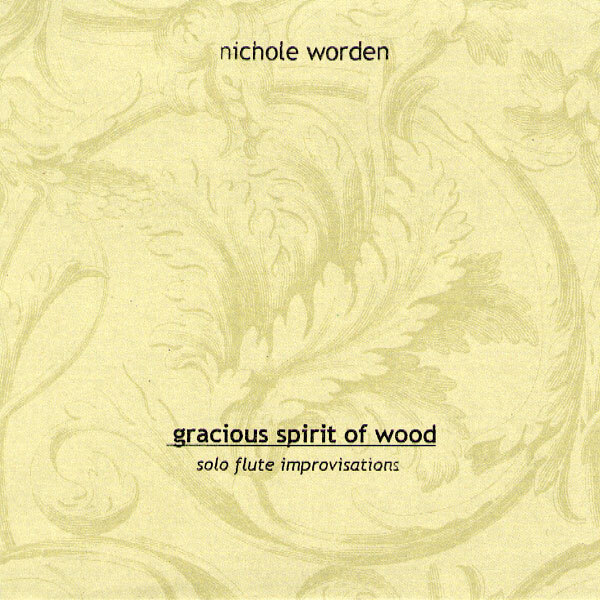 The first of this duet’s releases recorded in 1987 features their trademark early music sounding improvisations in extended form. Incredible even now. David Mitros on keyboard, Robin O’Brien on vocals. 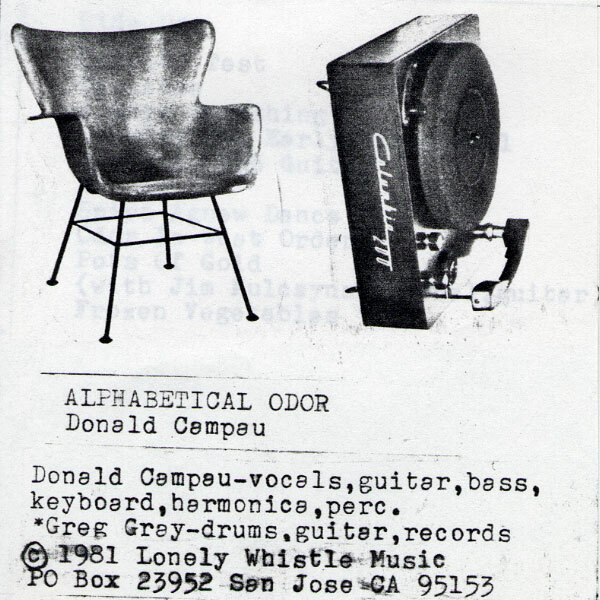 CDR copy of the bizarre 1971 LP recorded in San Jose, California. Includes Stockhausen-like improvs, militant poetry, piano and group ramblings, harmonica solo and a tender Glenn Yarborough type ballad.